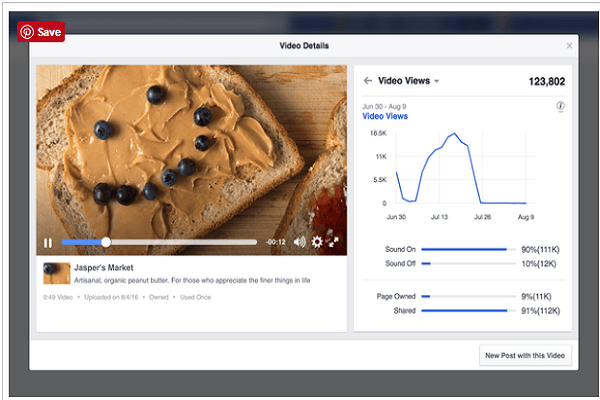 Facebook is an incredible platform for the video marketers and advertisers. The platforms are the most socialized one compared to another platform. People are more active on Facebook as there are several features to explore on the platform. So, marketers are focusing more on Facebook for their video marketing and advertising on the Facebook platform. 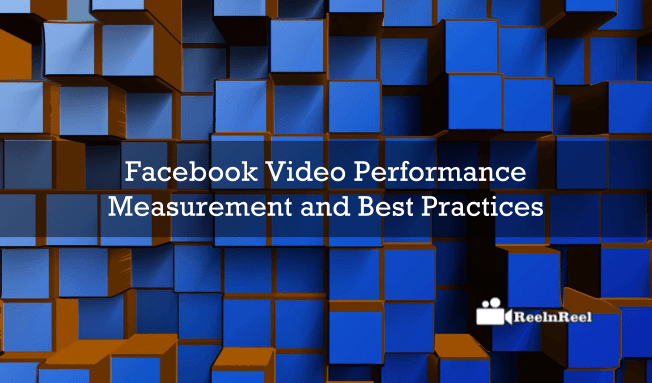 However, every marketer has to know about the measuring tactics of their video performance and the best practices related to Facebook video metrics. 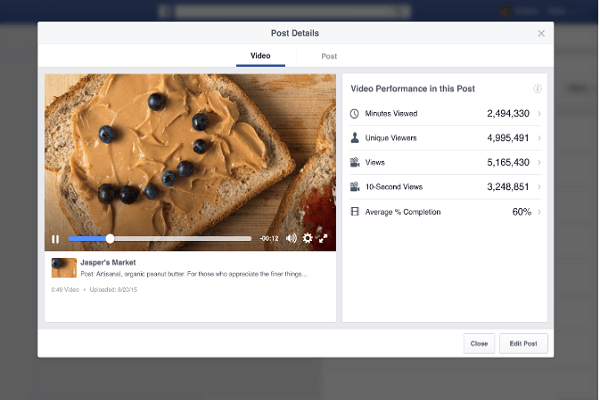 Here is a detailed guide to Facebook video performance and the best practices. The first thing you have to learn is to know about the type of posts that can drive better engagement levels on your platform then only you can prepare something special for your viewers to reach your audience on the platform. When comes to the individual metrics, you must go through the page insights section where you can check the post engagement which is published, and you can also test the different video metrics for every post you have published on Facebook. The posts lists can provide you a quick look on your post engagements and reach. You can also boost your post engagement levels by exposing or promoting your content to the targeted people online. You can also have an option to filter your fans and non-fans. • Upload videos directly from your page. • Track your views and engagement levels and keep an eye on them. The video retention metrics on Facebook will be provided with a retention graph. The graph will provide you the information about the time frame and similar retention percentage of your video. 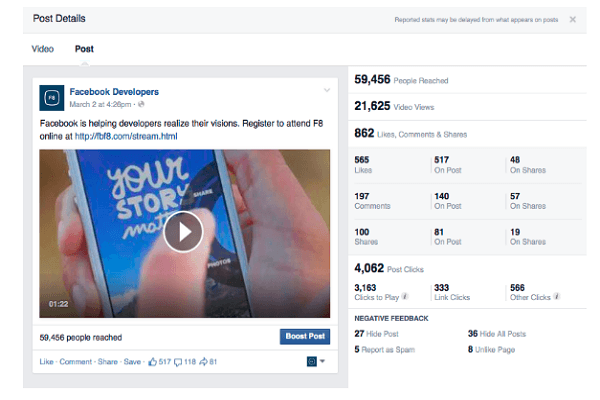 You can check total views and the duration of views for your videos that are published on the Facebook platform. You can also check autoplay video views, paid views, organic views, etc. The retention curve helps you to understand the audience. You can apply filters to check the metrics individually. • Check at what point of your video is less engaging. • Understand the video length. By clicking on your video post, you can get metrics related to the post engagement, views, likes, shares and information related to the negative feedback on your posts. It helps you to understand your on the post and shares in detail. • Understand the definite cause for your negative feedback and work on it. • Improve your engagement levels by analyzing the given metrics. Once you have published your video post on the Facebook page, click rate can help you to analyze whether people are interacting with your video content or not. So, analyze the click basing on click to play, links and other clicks on your post in detail. The video heat maps are every useful to analyze the prospects from your video posts. Heat maps are the best way to assess the audience interest towards your videos. By using the heat maps, you can analyze the audience who re-watch and skip your videos in detail. 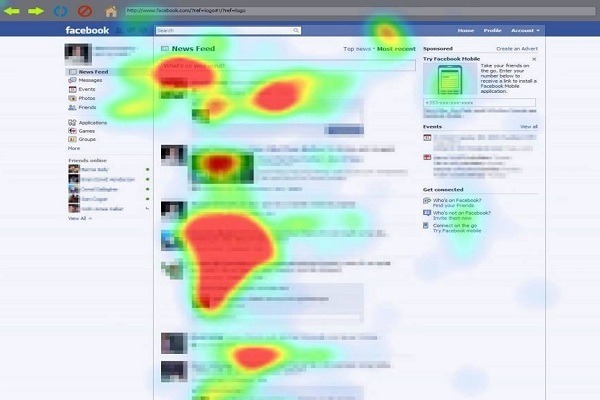 • Utilize the heat maps and analyze your audience interests. • Create content on their interest and boost your video engagement levels. The peak concurrent views are the new metric on Facebook which provides you a detailed analysis of your live video engagement levels. By using this metric, you can know about the highest number of viewers who are watching the videos during live sessions. • Improve your live video using peak concurrent metrics. • Utilize this metric and plan ahead for your next live video session. 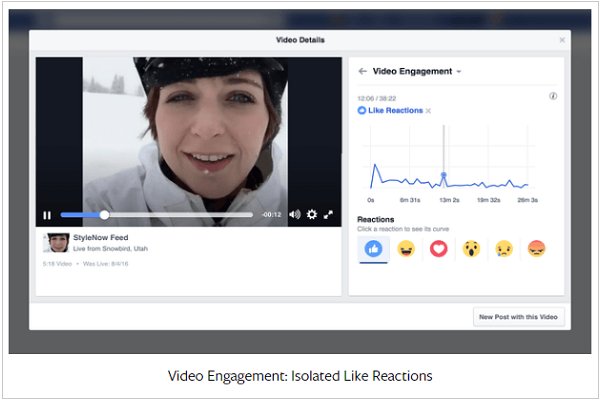 By using this metric, you can analyze the visual representation of the viewers on every moment of your live video broadcasting on Facebook platform. 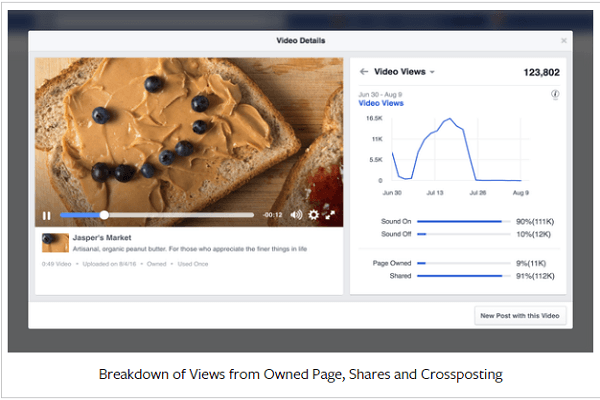 Many new metrics were added by the Facebook platform to make the analysis much easier for the marketers, businesses, and publishers on Facebook platform. 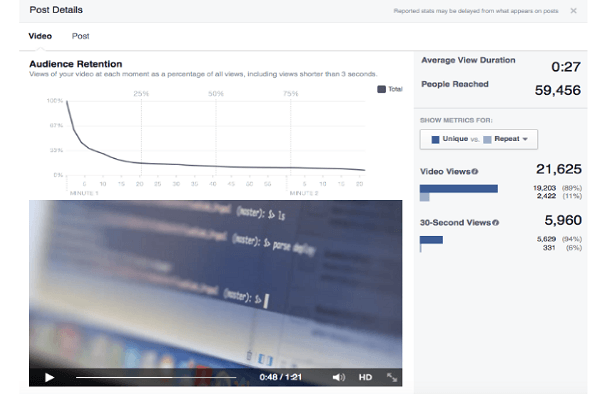 Some of the recent updates in video metrics feature on Facebook are as follows. • Understand the visual representation and improve your next live video moments basing on this metrics. The aggregate minutes provide the total minutes viewed by an individual. This metrics can be provided in the page insights section. • Analyze the individual viewing habit. • Estimate your potential audience and let them engage. Basing on publishers requirements and preferences, Facebook was designed this new metric where publishers can get three-second video views instead of 10 seconds as previous. However, they can still get the 10-second video views along with three second aggregate for video metrics. • Simplify your metrics using page insights aggregations and improve your targeting. Publishers are interested in getting the performance metrics of the videos that are upload during the period. So, publishers can now select the data range and can check the overall performance of their videos that are uploaded on Facebook platform. • Overall performance metrics analysis of time frame. • Utilize them in developing your video promotion plan by analyzing the Date-wise metrics. Benchmarks for the aggregating the metrics and graphs helps the publishers to compare the current and historical performances. • Compare the metrics and graphs and get a clear picture on engagement levels. • Understand your performance and act accordingly. Publishers are now efficient to rank their top fifty videos in the specific period which is analyzed by the total minutes viewed to get a better understanding on the individual videos that relates to the group. • By ranking your videos, you can compare and get a good understanding of your video performance. 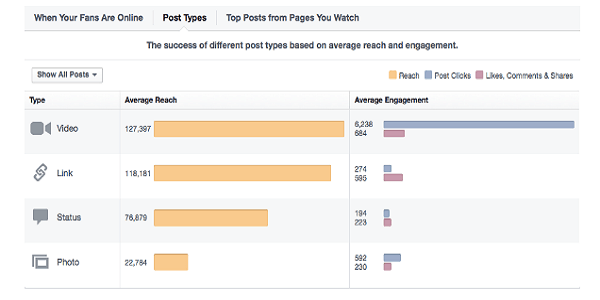 Finally, follow this detailed guide about the variety of metrics and be successful on your Facebook strategy.